Suffered a stroke in 2006 which left him in a wheelchair but still with a strong spirit. He suffered from cancer the last few years. Karen Bush Jim was such a good guy. He will be missed. Prayers for his family. DeeAnn Thompson Gillam Sorry to hear. Carol Bunch Gone way too soon. Rest in peace, Jim. 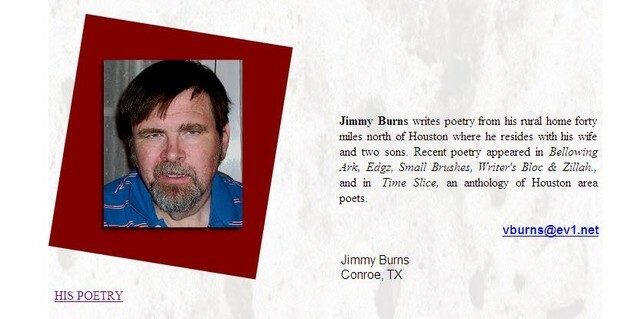 A celebration of Jim's life will be today at West Conroe Baptist Church at 3 PM. The address is 1855 Longmire Rd. Conroe, TX 77304. I have sent a single yellow rose from our class. A Dragon you'll always be, Buddy. as the beholder discovers truth. Going thru my old school scrapbooks--here is Jim's signature from my 2nd grade list at Nettie Marshall. Click here to see Jimmy Charles' last Profile entry.